With the different problems with the economy, we should learn how to spend our money wisely and invest it carefully. This is the reason why I like to share some tips on how to have a website that will only cost you $2 to $8. If you want to have a website with a .COM domain then this steps might cost you an $8 but if you can live with .INFO domain then $2 would be enough. First thing that you need to do is to register a domain. I register my domains at GODADDY and look for a GODADDY promo code (like cjc749fat which will expire this 02/28/10) so that I could register a $7.49 .COM. If you will not use a promo/coupon code, you’ll pay for $10 for a domain name. 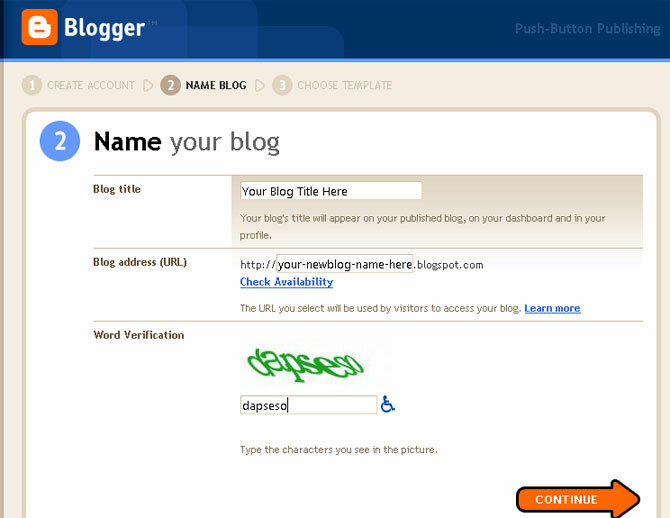 After that, register an new account on BLOGGER.COM. Type the domain name that you registered on step 1 on the “Your domain” textbox then Click Save Settings. On the domain manager, go to the “Total DNS” window. 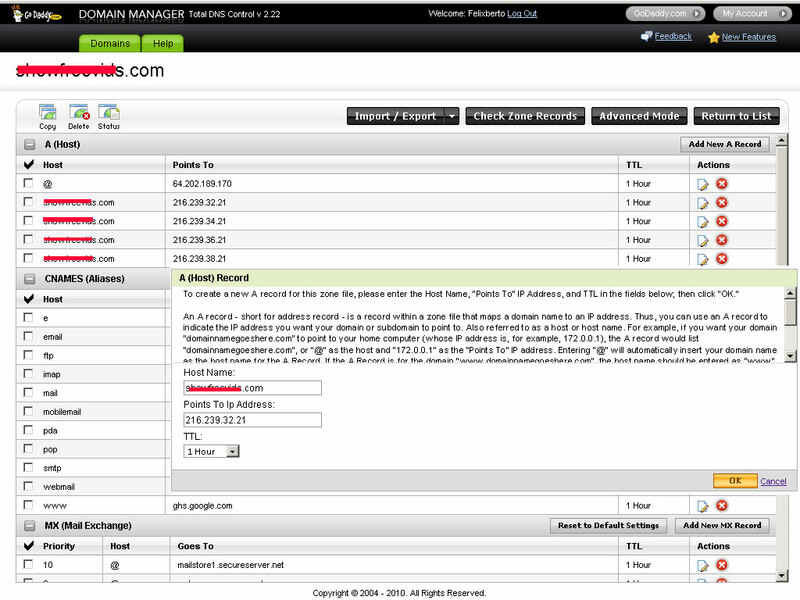 Then add or edit the WWW alias from the CNAME record and fill-up the “Point to hostname” with ghs.google.com. You can read http://www.google.com/support/blogger/bin/answer.py?hl=en&answer=55373 for information about this setting. After you’re finished with this configuration, you need to wait a couple of hours or less before the new DNS control settings are applied. 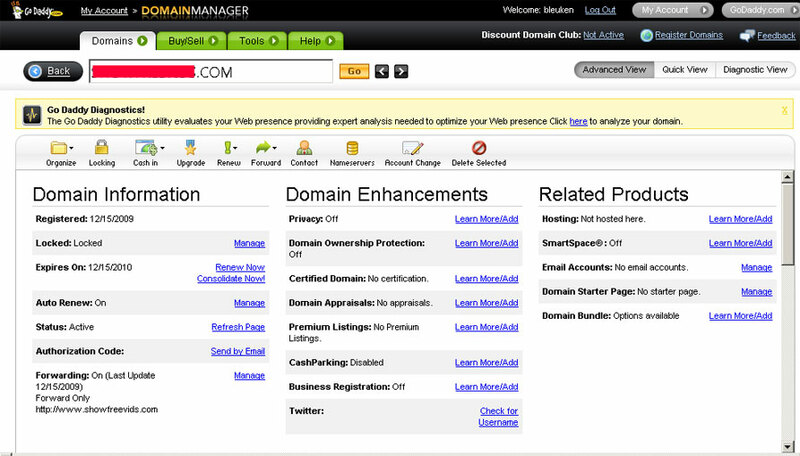 When the changes takes effect, you’ll see that when you visit your new domain, it will use your blogger account. You can now modify the template of your site to suit to the niche or topic that you want to be featured by your new site. For more question about this stuff, you can leave your comment below and I will try to reply to the inquiry. Good luck and happy blogging! yeah, before I’ve been using also 000webhost for my free web hosting. at first their doing fine. but as of now, its getting hard to be approved as a matter of fact, I have several domains that aren’t approved anymore. i think it’s better to get a real hosting site if you have budget or get a blogger account or weebly. thanks for sharing, looks cool as newbies dont have to buy hosting. They can just buy a domain and get started. thanks for the information kababayan. nice info dude.. ung site ko, wordpress gamit ko, pero mayroon ako directory na under ng domain ko na pinapatakbo ng blogger via http://FTP.. Kaso this coming May 2010 mwawala na ata support ng blogger sa blogs powered by FTP, pano kya gagawin ko. pra ma save ko ung mga post ko sa directory ng site ko powered by blogger? 🙂 slamat. Great informative blog you have here…I’ll try following your advice on starting a website. Thanks for posting this! Thanks! I set-up my first blog using your tip. Bisayang aswang, burahin mo na lang sa world wide web itong blog site mo yamang ayaw mong mag publish ng comments. Paano ka magkakaroon ng follower kung lahat ng comments eh inaaswang mo. @Renier, spammer ka kasi kaya hindi ko pina-publish ang comment mo. Isa pa gawa ka na lang ng blog mo tapos comment ka, apruban mo para masaya ka. 🙂 Don’t worry kung wala akong follower. Pero thank you sa concern, ang bait mo naman. God bless you kabayan! Hey dude of none-sense! Just park your none-sense blog site if you don’t want to publish comments. @RJay, I’ll check on this site.